Happy Birthday Fro & Giveaway! Yay! It’s Fro’s second birthday!!! And to celebrate, Fro & I are giving you* the pressies! 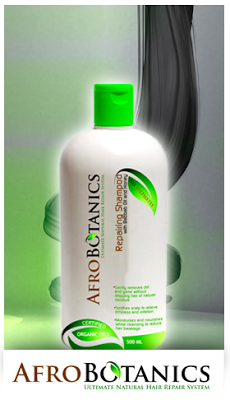 Two lucky readers will each win a hamper courtesy of my current go to natural hair product line: Afro Botanics just in time for winter. result in long term healthy hair. Once you’ve done both, tell me you’ve done so in the comments box below. Make sure you leave your name, location and e-mail address so I can contact you should you win! This giveaway ends at 11.00 pm on Friday 31st May 2013. The two fabulous winners will be announced here on Saturday 1st June. *Please note that this giveaway is only applicable for readers residing in South Africa. Hey Aisha 🙂 I'm a natural girl and I've been trying to retain length for a while, still on that journey. I love your blog,it's helped me a lot with styling. Liked the pages. Done, I hope the giveaway is open to those outside South Africa. Done! Happy two years to Fro! I absolutely LOVE your blog Aisha!! I BC'd exactly one month ago and have been experimenting with your hair recipes. What I love your blog is how funny and relatable it is. I am obsessed with the timeline and spend hours at school daydreaming about hair length LOL! been following you on twitter and FB for some times now. Been following you on both twitter and facebook from the day (last year) you recommended me for tips and tricks to maintaining my afro. Hi, i've been a follower since i went natural! Twitter, Facebook, Pinterest, YouTube…hope that doesn't make me sound like a stalker lol. …well, I came back to comment and let you know – I now follow you on twitter, I liked your FB page months ago and been reading your blog daily since its early days. I went natural a year ago and your blog inspire me daily. ps! I hope to meet you in person one day and that will be my greatest gift. i've been following both pages hope it counts lol would really love to try afro botanics,I sent an email but did not receive feedback.